Self-adhesive technology allows clear separation of labels from glass. Avery Dennison has introduced a glass recycling technology that enables the clean separation of self-adhesive labels from glass materials. Their new technology will not only ensure that glass products will still maintain shelf appeal but, more importantly, it will allow more glass items to be recycled, which means less glass will be sent to landfills. More glass that consumers recycle end up in landfills than they might realize. However, what makes Avery Dennison Glass Recycling materials so innovative compared to the current self-adhesive solutions is that it uses a unique GRX1 “switchable” adhesive. This adhesive can reduce the amount of glass going to waste dumps to 1.5kg per ton, instead of up to 40kg, and can restrict label fragment contaminations to 2% of label material, versus up to 74%. The new recycling technology can help brand owners make their package more sustainable. 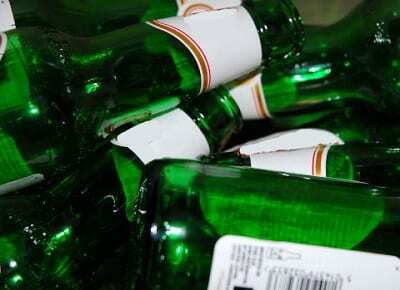 According to the company, its unique “switchable” adhesive technology has been engineered to make removing labels from the surface of a glass bottle easy during the recycling process. More specifically, during the glass bottle recycling process, the adhesive used for the labels “switches off”, enabling labels to be cleanly separated from the glass. Avery Dennison says that brand owners who are interested in using this technology to make their products more sustainable and eco-friendly, can do so without having to invest in new equipment or making changes to their existing processes. According to the company, Avery Dennison Glass Recycling materials are compatible with an extensive range of printing techniques, including letterpress, gravure, screen, and flexo. The glass recycling technology shows a lot of promise for being better for the environment and also for benefiting brand owners who are seeking a cost-effective way to improve their sustainability and green reputation, without sacrificing the aesthetic appeal of their glass products on shelves.